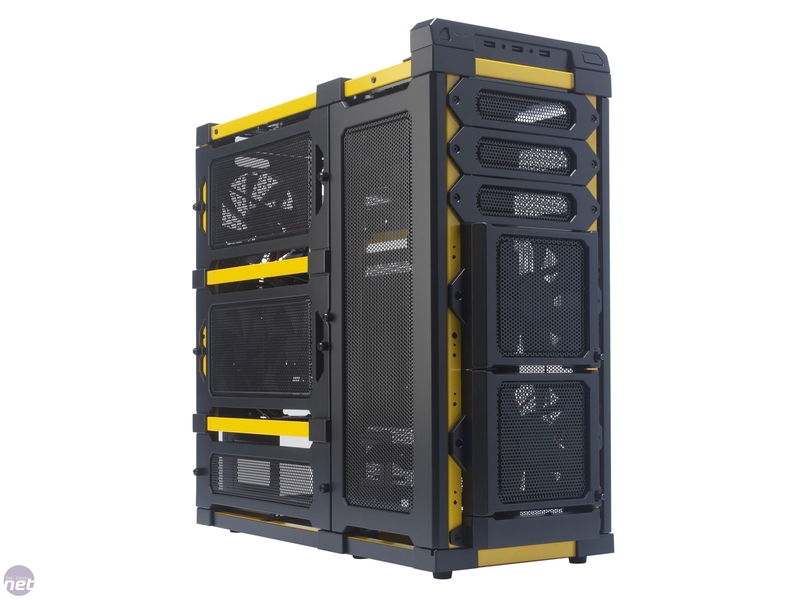 Following the ill-fated Skeleton, Antec has resurrected the idea of an open-air case, and its long abandonned LanBoy brand, with the LanBoy Air, looking to offer the capacity of a midi-tower case without the restriction of solid panels. The LanBoy is built around a simple steel skeleton that supports the large quantity of meshed panelling, which makes up much of the case's exterior. Bracing rods in the middle of the case add rigidity to the steel framework, so there’s no give at all in the LanBoy’s frame. Four meshed panels make up the rest of the LanBoy’s exterior, one for either side of the main hardware compartment, and two others for either side of the drive bay area. These are all made of a single solid part, so you can’t remodel them as you’d like. Six thumbscrews attach each of the larger steel-reinforced side-panel pieces, which makes opening up the LanBoy a tedious task. Worse yet, these screws are proprietary, as they’re much longer than normal case screws. The tall, thin door panels are attached with a simple removable hinge at the front of the case and secured by a single thumbscrew, which allows easy access to the LanBoy’s roomy drive bay compartment. The large mesh pieces that make up the panelling may not be modular, but they do offer a wealth of cooling options. 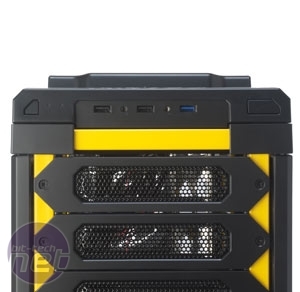 The left side panel has four 120mm fan mounts, two of which are occupied by blue LED-lit, speed-adjustable fans. 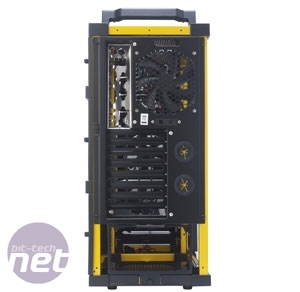 The large door panels can also be equipped with an impressive three 120mm fans each. 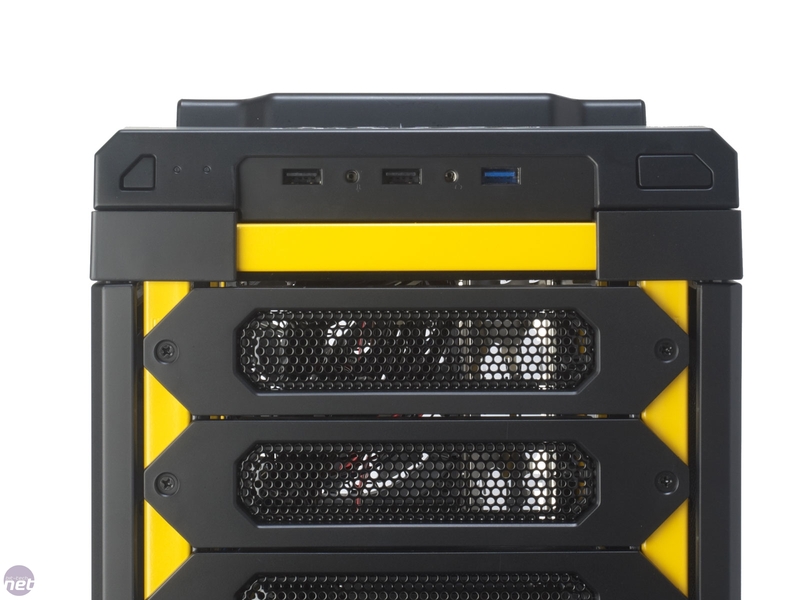 This means you can fit a whopping six 120mm fans into the drive bay mounts alone (three each side). Sadly the resulting airflow will only travel across the drive bays and not into the core hardware compartment where it’s needed, making these fan mounts largely redundant. 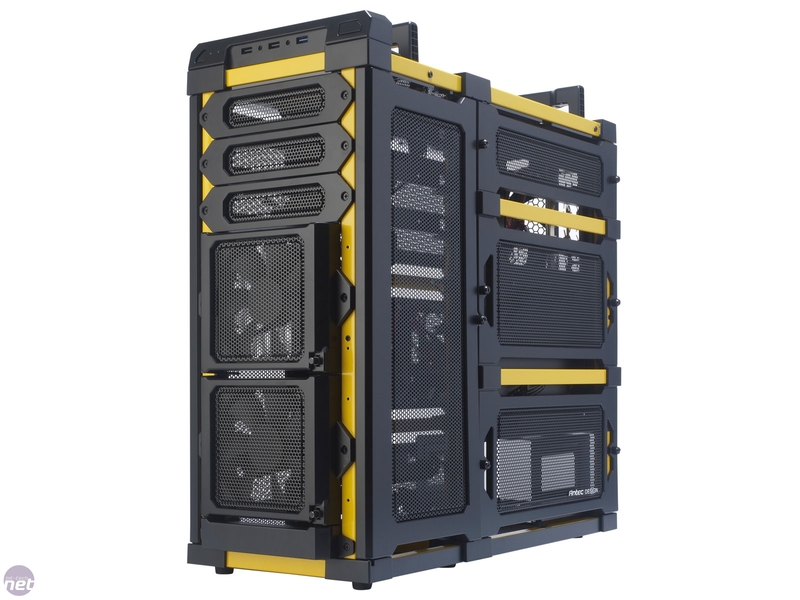 You could mount triple 120mm-fan radiators to one or both doors, but they’re not particularly strong and you’d have to remove all the drive bays and rely on just the two 2.5in bays in the floor of the case for storage. The two speed-adjustable fans in the front of the LanBoy are more useful. These can be adjusted with individual integrated rheostats, and repositioned to occupy any block of three drive bays in the front of the case. 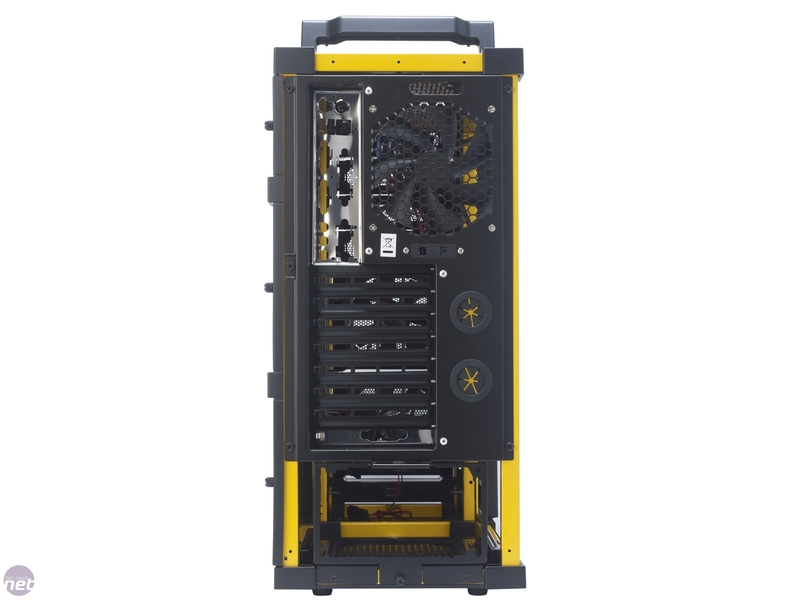 In addition to the six 120mm fan mounts in the drive bay doors, four 120mm fan mounts in the side panel and two 120mm fan mounts in the front, Antec has also equipped the LanBoy with two 120mm fan mounts in its roof panel. Unlike the rest of the LanBoy’s exterior panelling, the roof is made of semi-translucent plastic, which looks like smoked glass. This is a nice touch, as seeing internal LED lights shine through the roof is a pleasant effect. 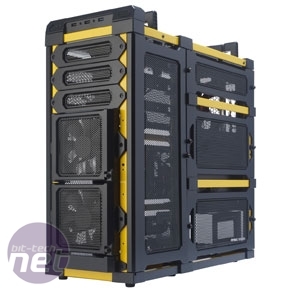 The roof panel’s fan mounts are flawed though, as they’ll only accommodate fans or a water-cooling radiator externally. 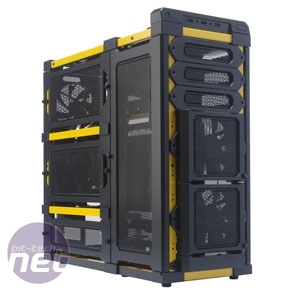 Antec reboots its budget case line; will this be the one case to rule them all?